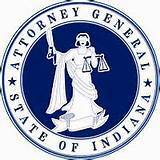 INDIANAPOLIS – Indiana Attorney General Greg Zoeller will host the sixth-annual Criminal & Civil Justice Summit this Friday, May 27, to focus on addressing mental health and addiction in the justice system. The summit will bring together leaders in all branches of government and the mental health community to discuss solutions to growing concerns about how mental health issues and drug addiction are plaguing the state, and contributing to crime and recidivism. The summit will include panel discussions on alternative sentencing and treatment solutions for mentally ill or addicted offenders, and will feature panelists including Indiana Supreme Court Chief Justice Loretta Rush, former Attorney General of Maine Jim Tierney, state legislators, county sheriffs, the president of Mental Health America of Indiana, the legal director of the American Civil Liberties Union of Indiana, and others. Below is an agenda for the summit, which will be hosted at the IU Robert H. McKinney School of Law in Indianapolis, 530 W. New York St. The Criminal and Civil Justice Summit is open to the media at no cost. To RSVP, contact Public Information Officer with the Attorney General’s Office, Molly Gillaspie, at molly.gillaspie@atg.in.gov or 317-232-0168.